Natural bowls for food. 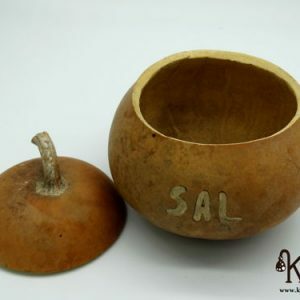 If you have a restaurant where you are looking for natural things, these bowls made with gourd wood are perfect for you. Whether it’s a rustic restaurant, vegetarian or vegan, with these bowls and handmade pumpkin dishes you’ll have a new product that you will not be able to get anywhere else where you’ll leave customers shocked when they know they’re eating on pumpkins.The gourds, have been selected one by one to get a tonality and appropriate nuances. 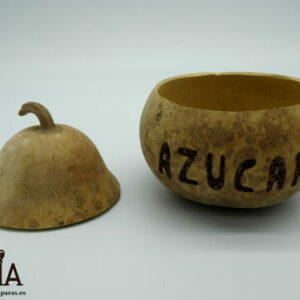 All of them have been varnished with a special ecological varnish for food.Create beautiful presentations with these dishes and bowls for organic food made from gourds.If you are interested in buying them in large quantities it is best to send us an email to kuia@kuialamparas.es and tell us what you want. 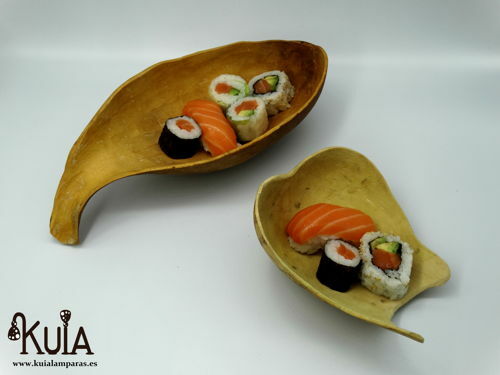 Either one of our models, or on the contrary, design appropriate dishes for you to create the best presentations of your dishes in a natural and ecological way.